School’s out, which means prepping your home for a kid friendly summer is on the top of your to-do list. All year long, your kids sit inside a classroom learning, exploring, and facing the challenges and obstacles that will help them grow and thrive as they get older. For two months of the year, they finally have a break, and staying indoors looking at a screen is the last thing they should be doing! Whether their summer months will involve time spent enjoying the warm summer weather, or if the weather forces them to get creative indoors, we have everything you need to create a fun space at home your kids can enjoy all summer long. Prepping Your Home for a Kid Friendly Summer! Summer will fly by, make sure you have a plan so you can cross everything you want to do off your list. This is not only a great start for prepping your home for a kid friendly summer, it will also make it easier for you to make concrete plans you will stick to throughout the long lazy days of summer. How many times have you explored your own neighbourhood? Chances are it has plenty of things you haven’t taken the opportunity to explore, and there is no better time than the present. Alternatively, if you are planning on making a move to a new neighbourhood come fall, this is a great time to take the kids and help them get a head start on adjusting to their new surroundings. Do you worry about little fingers expressing their creativity on the walls of your home? Give them a space to let their creative juices flow by easily creating a DIY Chalkboard wall like the one here. Getting involved in your community is not only a fun activity, but is a great learning lesson while school is out. 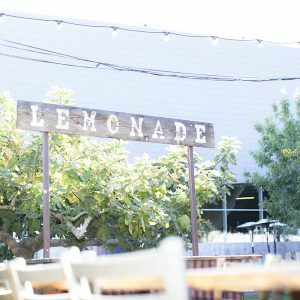 Pick a charity or community event that your family is passionate about, and host a lemonade stand with proceeds benefiting your favourite organization. Here is one example of how RE/MAX agents get involved in their community! 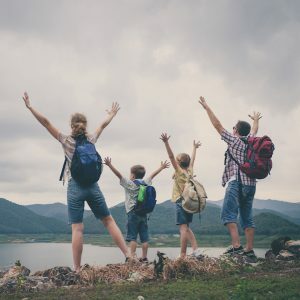 Whether at a cottage in a popular cottage destination or just enjoying time at home, there is very little that can compete with family time around the campfire. Make sure you are prepared with your favourite campfire stories, and of course S’mores! Last but certainly not least, there is no better time to start understanding how gardening works than the present. 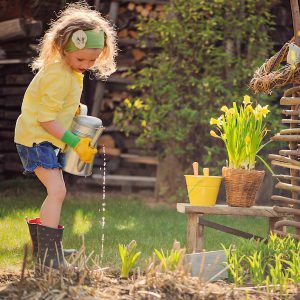 As a family, do some research on the best types of flowers to plant in your location and building type, and start a garden that the kids can continue to care for all summer long. These helpful tips are a great place to start! Don’t let the warm weather and sunny days pass you by without taking time to enjoy them. These tips are all you need for prepping your home for a kid friendly summer so the whole family will make memories that will keep you warm all winter long!